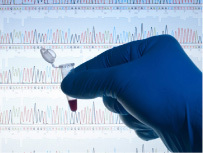 As the next great leap in DNA testing, Next-Generation Sequencing (NGS) has rapidly accelerated medical research and discovery, providing more accurate targeting for oncologists with increasingly lower costs. Our new assay, developed in collaboration with leading national researchers, gives physicians expanded insight and actionable, evidence-driven treatment options. PathGroup SmartGenomics NGS provides a decision support tool for identifying not only potential treatments and clinical trial opportunities for patients, but also elucidation on why previous therapies may have failed and forward-looking intelligence on new therapeutic agent targets — all brought together through the most current research and data on genetic variants from our partnership with GenoSpace™. PathGroup also offers cytogenomic microarray (CMA) that can help establish a total tumor profile by rapidly identifying chromosomal copy number gains and losses across the patient’s entire genome that may be undetectable by either NGS or FISH. This can be especially useful in rare and aggressive tumors for predictive and prognostic information and in more common tumors like breast, colon and lung, where array results have shown significance in helping determine therapeutic failure. PathGroup SmartGenomics is the choice for personalized molecular profiling.